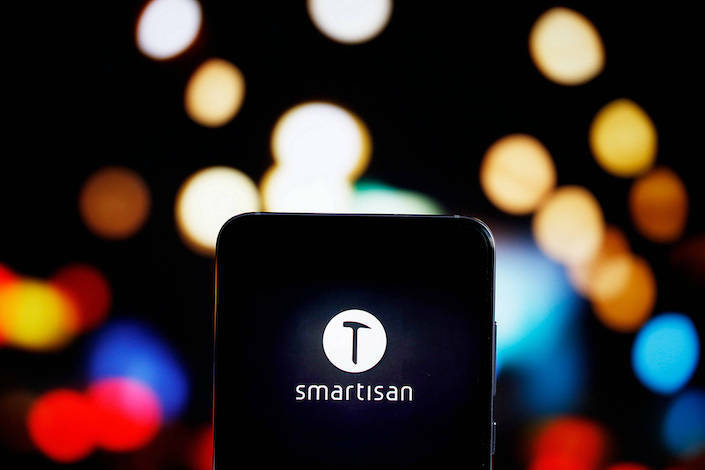 Not long ago, Smartisan was a smartphone darling. And its foray into a WeChat-challenging app, Bullet Message, created significant buzz. But things have soured since. Reports emerged recently that the company has been experiencing a capital shortage and has laid off employees. And now its phones are disappearing — specifically, from the company’s flagship store on Tmall, China biggest retail shopping portal. It’s unclear exactly why the phones are no longer available. A Tmall employee said they’ve received no request to remove the products — so it appears the devices are simply not being supplied. Bluetooth speakers and air purifiers also appear to be missing from the firm’s Tmall store. The only items for sale on Monday seemed to be a few phone protection cases — with the most expensive one going for 79 yuan ($12). Smartisan phones are still for sale on its flagship store on JD.com, another e-commerce platform. It’s been a tough few months for phone-makers in China — the world's largest smartphone market — as shipments have dropped markedly.